For many years we have been searching for a way to expand our commitment to serving communities worldwide seeking our meditation every week, while upholding the integrity of the teachings of the 5Rhythms practice. We are excited to share that we have launched our new 5Rhythms SpaceHolder™ Program, a container birthed out of the recognition that communities around the world want to practice 5Rhythms Sweats weekly and do not always have a local certified teacher to hold the space. Our next Orientation module will be in Utah April 2 -April 6, 2019. 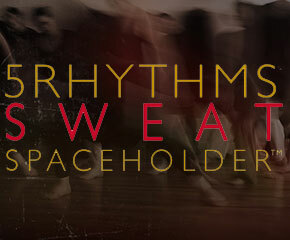 Meet our 5Rhythms Sweat SpaceHolders and Contact us to explore this path for your community. From the birth of the 5Rhythms, our teaching circle has traveled to far off places to offer workshops and time and time again the communities fall in love with the practice. The question always inevitably arose – How do we continue to dance the 5Rhythms weekly without a local certified teacher? Our answer until this moment has been – you can’t. The frontier communities in the 5Rhythms international tribe have been limited in their opportunities for consistent weekly practice. Through this program, we have paved a stepping stone on the dancing path to 5Rhythms Teacher Training — bridging the empty space, the integrity of the body of work, and the desire for dancing feet everywhere to have access to the 5Rhythms more often. Traditional guided 5Rhythms Waves format held by the mentor teacher from afar (thank you technology!) and/or in person as much as possible and unguided 5Rhythms Sweat Your Prayers format held with pre-planned musical collaborations between Mentor teacher and the SpaceHolder. the physical embodiment of the 5Rhythms, technical DJ skills/how to compile Waves of music, and best practices to hold space from a place of service, both as a fluid tribe member and in the staccato of business. 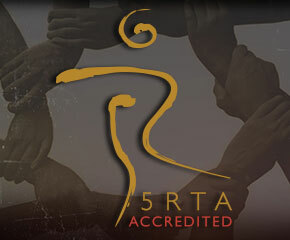 Participants are on the dancing path towards 5Rhythms Waves Teacher Certification, referred by an accredited 5Rhythms Teacher Association Member, and live in a community where there are no local certified teachers or where the local certified teacher would like support. Our accredited teachers are the backbone of this program, providing one-on-one mentorship — Guiding & supporting the SpaceHolder and the budding community that meets to practice weekly. Mentor teachers will visit the community from time to time, whether it be via digital streaming technology or in person, offering guided classes and workshops to ground the meditation for this weekly space and deepen the understanding of the 5Rhythms. 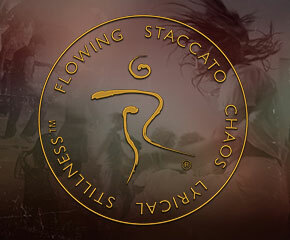 The mentor teachers are also a resource on the SpaceHolder’s dancing path through our prerequisite workshops for 5Rhythms Waves teacher training.